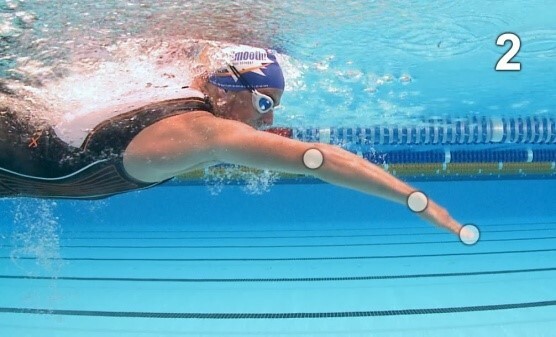 Below are some frountcrwal drills that you can put into every swim session for example (4x50 as 25m drill, 25m swim)( 4x100 25drill, 25 swim x2) When doing this only think about one drill at a time. 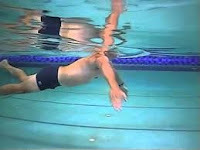 Focuses on the phase of the stroke between the catch and pull through, under the head, helps correct a wide S shape or straight arm pull through. Scull with both arms symmetrically just wider than your shoulders and back into the middle, changing angle of hands, keeping pressure on the water, fingertops about 60cm below surface face forward or down, with pull buoy to isolate your arms.